Roundabout is the newsletter of the Transportation Group, published quarterly (March, June, September and December). 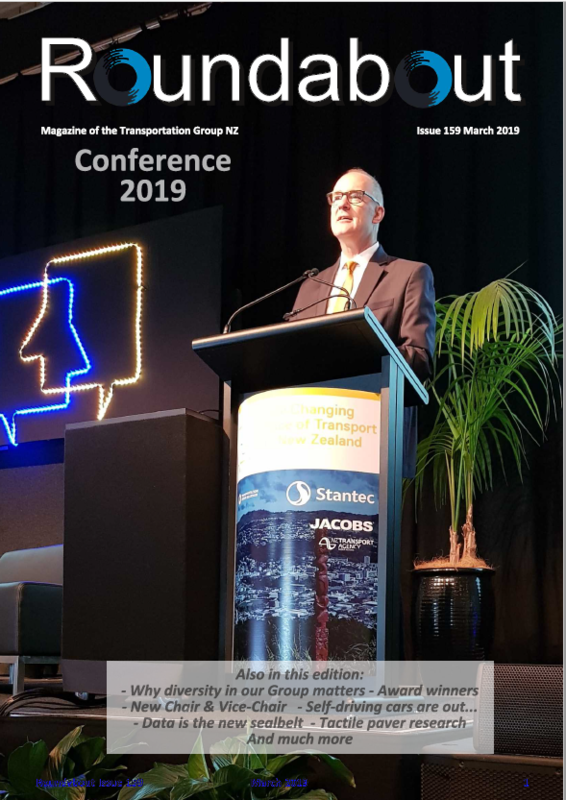 It features topical articles and other relevant tidbits from the transportation world, as well as details on the latest happenings in the NZ scene. Roundabout is provided as a PDF to members, and is supplemented by a monthly Mini-Roundabout email newsletter which is sent out to all members. Contributions to Roundabout or Mini-Roundabout are welcome and should be sent to the Editor at the contact details below. Industry-related advertising (e.g. vacancies, industry events) is published free of charge. Contributions are typically required by the 10th of the month of publication (which is usually the 15th). Opinion pieces or photographs are welcome, as well as technical articles of interest to members.